French painter and graphic artist Pierre Bonnard was one of the founders of the Nabi group. He studied at the School of Fine Arts in Paris, visited the Academy of Julian, where he approached Vuillard, Denis and other future members of the Nabi group. The work of the artist was greatly influenced by Cezanne, Gauguin, with their artistic experiments in the transfer of color, the construction of space, with the search for a harmonious correlation of artistic style and emotionality. In the 1890s Bonnard worked in various genres, he was largely guided by the desire to introduce an aesthetic beginning into the everyday life of a person. In the late 1890s he devoted more and more attention to painting. Bonnard studied the heritage of the Impressionists, but did not fully share their principles, believed that the lack of impressionism in a strong naturalism in the transmission of light and in insufficient attention to composition. The artist painted landscapes filled with light and air, he also liked to paint interiors with figures of people. The painting “The Mirror over the Washbasin” is one of those works of Impressionism that made up the collection of I. A. Morozov. It was bought by him in 1908 in Paris from the exhibition of the Autumn Salon. Other famous works: “Summer in Normandy.” OK. 1912. The Pushkin Museum. A. S. Pushkin, Moscow; “The beginning of spring” . OK. 1903. The Hermitage, St. Petersburg. 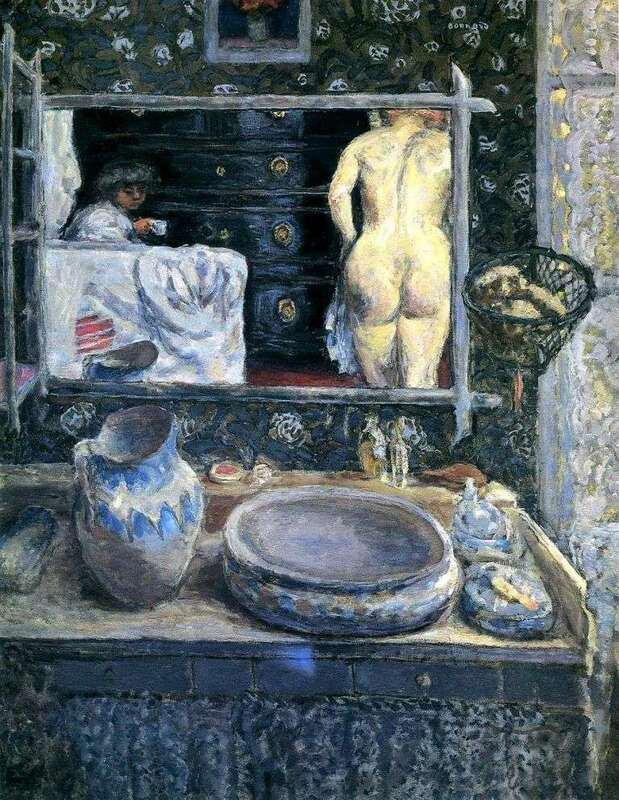 Description and meaning of the painting Mirror over the sink by Pierre Bonnard.